Delivering a stunning 20,000 Lumens output the TITAN Super Quad offers the best performance on the market today in every significant area. Perfectly suited to all vertical channels, no feature has been overlooked.Multinode Warp and Edge Blend, with multiple channel memories are included. Fully active 3D with HDMI 1.4 and upto 160 Hz refresh rate offer flicker-free viewing. 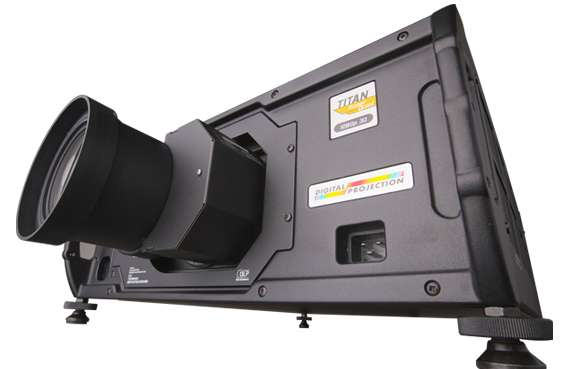 Dual DVI inputs and 3G-SDI offer the very latest high speed video delivery. Finally an intelligent lens mount offers image positioning memories across the whole lens range from 0.67-11.2:1. This projector really is a class leader. – Correction for non-active pixels at the edge of the display. Projector Controller software that allows the management of multiple projectors from a single centralised PC based application. Ideal for use in large installations or where projectors are in multiple locations in a building, the software can dramatically reduce the time required for set up and configuration. Applications with 120 Hz native sources utilize the High Bandwidth input, eliminating the need for frame doubling. 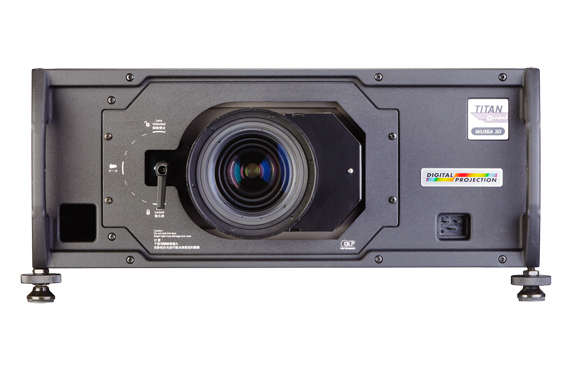 For 60 Hz 3D applications, built-in Dual Flash Processing™ enables distribution of 3D content via 60 Hz formats by frame-doubling the signal within the projector. 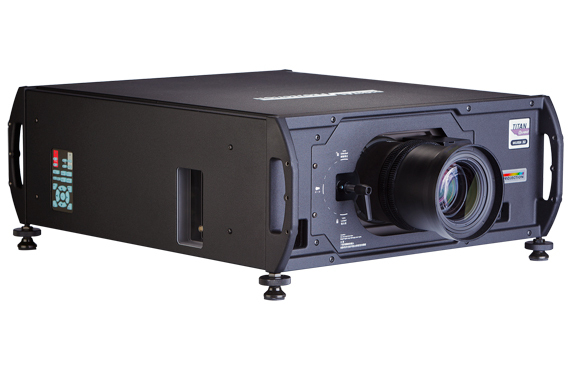 Digital Projection offers the most diverse 3D-enabled projector line-up available today. Key technical innovations such as our Active-3D sideboard with dual pipe, high-bandwidth input ensure your immersive 3D experiences are second to none. Intelligent Lens Memory (ILM) feature provides automatic re-positioning of all lens adjustments whenever a user selects sources of varying aspect ratios. Precise and quiet, this advanced capability guides lens zoom, focus and shift to any one of up to 10 user-defined present locations. 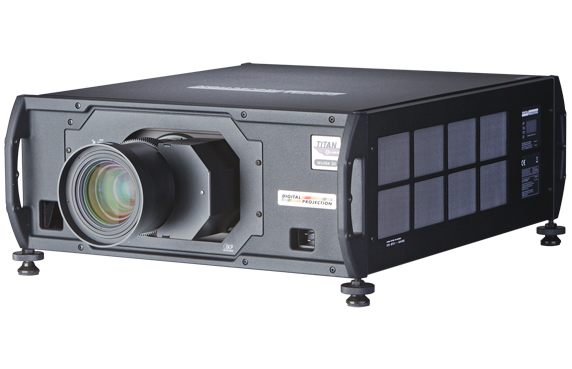 Due to the proven reliability and long-term performance of our precision displays, Digital Projection provides a full 3 years of parts and labor coverage for projectors and accessories employed in standard use applications.